Well, what a special novel this is. I don’t think I’ve read anything quite like it, and I certainly didn’t expect it to be so unique. I love it, and a quarter of the way through I wasn’t sure I was going to. If (like me) you find the lead character, and primary narrator Oskar Schell a little frustrating and, in my mind, slightly unrealistically painted at times, stick with it. By the end my heart had completely warmed to this nine-year-old boy who was going through something no child should have to. And this is the emotion I wanted and expected to experience knowing the content prior to reading it. Because, you see, this is a story about a small family in NYC coping with the loss of father, husband, and son–Henry Schell–in the September 11 attack on the World Trade Center. You already know this is going to be a heavy book, but it is just so stunningly, beautifully written. If a book were a painting this would be up there with the Monets, Picassos, Rembrandt, DaVincis and Van Goghs. 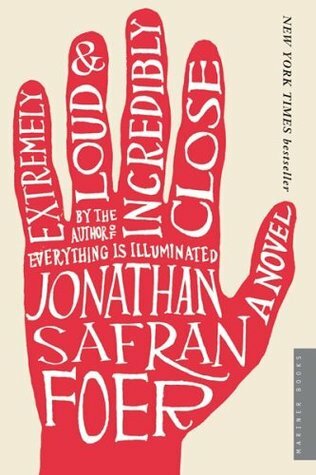 Jonathan Safran Foer amazingly writes in the way a child of nine years of age speaks and yet at the same time manages to convey the super-intelligence of this young boy. And indeed it is this super-intelligence that causes much of Oskar’s trouble in his mind, although of course, this is also a boy who has quite simply and damningly lost his father. From the start, we are aware of the close relationship Oskar had with his dad that he does not have with his mother and one of the most special things that occurred in their relationship was the way his father managed the intelligence Oskar has by giving him the capacity to explore it and also to work with his weakness (Oskar finds it hard to talk to people) through activities such as reconnaissance expeditions around the city. It is a truly magnificent relationship between father and son, and by painting it as such we are, as the reader, absolutely heartbroken that it was destroyed by the tragedy of 9/11. And this is just the main plot. Heartbreaking subplots also exist within Oskar’s grandparent’s relationship and in Oskar and his mother’s relationship finding its feet in his father’s absence. Plus of course, we do not forget to wonder how Oskar’s mother is coping with the loss of Henry Schell either, and it is touching both in the middle of the story, when she has a heated discussion with Oskar, and in the last pages of the novel that we get to see a little of how she feels. Finally this book is a wonderful perspective on the many different human beings that live in this world and the diversity of our lives and how you can find pretty much all that diversity in New York City. In Oskar’s journey he meets a ton of people all with their own unique characteristics, some with their own devastating traumas to deal with and all of course, clearly on a journey of their own. As we all are. Something that really is a key concept when we remember those who died in 9/11 too. Please read this book, please stick with it and please shout about it to everyone you know when you’ve finished it! I have only marked it down to 4 stars because I still have some reservations about some of the subplots and the believability of the characters. Really I think it’s about 4.5 because I can’t get it out of my head for the last few days since I finished it. Guest review contributed by Pocket Down Under. A British transplant in Australia, this book review blogger hosts a website that is ever evolving and consistently book related. I loved this book. Great review. I also loved this book! Every now and then I still think of the phrase “heavy boots” and I read the book at least over a year ago! Here’s the newest review on the book review directory. I loved this book – seeing your review makes me want to read it again!